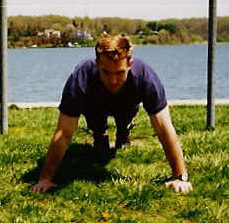 Ever since I wrote The Grinder PT: Key to Mental Toughness eBook, I have noticed that the majority of people who attempt one of my toughest workouts I have ever created do quite well on pushups tests upon finishing. 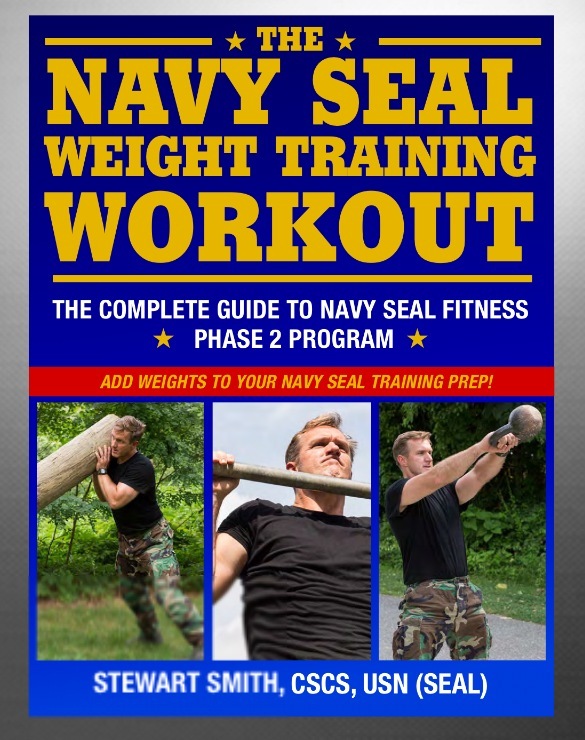 This eBook is modeled after the first month of SEAL training, where pushups are done five days a week in the magnitude of several hundred a day. Improving surprised me. I assumed the workout would border on over-training (and it does) but with proper rest / recovery you can increase pullups and pushups significantly in as little as two weeks. The reality is that being good at pushups is like getting car insurance for your future fitness training. You might not always use it but when it comes time to "drop" and need it - it's imperative that you have the best coverage. This went against all the physiology I had studied in the past. What was meant to give SEAL candidates a taste of SEAL training on paper, turned out to build muscle and increase pushup maximum scores. Typically, you give the body 48 hours of rest before doing similar resistance exercises or weight training, so the body has time to recover and grow stronger (EVEN with CALISTHENICS!! See related article). Especially HIGH VOLUME calisthenics. That is why many workout routines offer upper body exercises on Monday/Wednesday/ Friday and lower body exercises Tuesday / Thursday. Some workouts even give up to 72 hours of rest before repeating the same exercises. But Boot camp in every branch has used pushups as a daily exercise either in organized PT or punishment for not conforming to regulations. Throughout the years of experiencing military training either as a student or instructor, I noticed people were typically stronger in pushups by the end of training (6-8 weeks). So, I started experimenting mostly with younger people from 18-30 years of age with similar goals of increasing their pushups scores on the PFT. The program is a ten-day pushup plan that requires pushups daily, but still has some sound physiological rules that incorporate “some” rest but not much. Below is the program that has helped people go from 50 pushups to 80 pushups in two weeks. If your max in under 50 reps, take your current max and multiply by FOUR: This will equal what you should do daily for 10 days of the Pushup-Push Workout. So if you can do 20 pushups - only do 80 pushups a day, NOT 200 reps.
On ODD days: do 200-250 pushups (or your max X4) in as few sets as possible (max rep sets) in addition to your regularly scheduled workout of cardio exercises. You can still do upper body workouts on these days if you are on a program already. This is a supplemental 200-250 pushups to your regular upper body workout using maximum repetition sets (4 x 50, 8 x 25…your choice how you get to 200). On EVEN days: do 200-250 pushups (or your max x4) throughout the day. This can be little sets of ten done every half hour or fifty pushups done four times throughout the day. RULE: If your maximum is under 50 pushups (do no more than 200 pushups a day). If your maximum is 60-75, 250-300 pushups a day is fine. Sample: Take your current max, say 50, multiply by 4 to equal 200. That is your daily total. Try regular pushups, wide pushups, and tricep pushups to breakup the monotony of 10 days of straight pushups. The only difference in these three pushups is the placement of the hands. Regular pushups distribute your body weight proportionately between your chest, shoulders and triceps. Whereas, the wide pushups will work the chest more and the Triceps or Close Pushups will work the triceps and shoulders more. Thanks for the emails, they really do inspire me to develop articles, so keep them coming at stew@stewsmith.com. This workout is an opinion of the author and should you proceed with this plan or any derivation, you do so at your own risk and should be cautious. To contact Stew with your comments and questions, just e-mail him. program check out the StewSmith eBook Fitness Store. 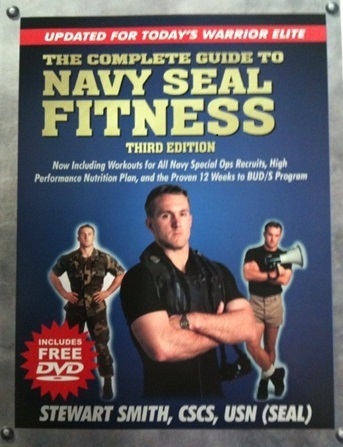 Stew Smith is a former Navy SEAL, Military.com Fitness Contributor and certified as a Strength and Conditioning Specialist (CSCS) with the National Strength and Conditioning Association. If you are interested in starting a workout program to create a healthy lifestyle - check out the StewSmith.com Fitness eBook store and the Stew Smith article archive at StewSmith.com. To contact Stew with your comments and questions, e-mail him at stew@stewsmith.com .